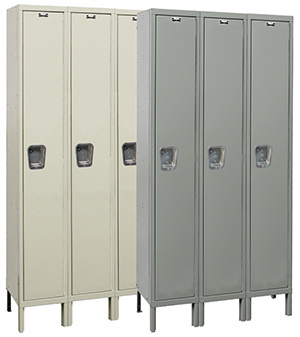 Fabricated from 16 gauge cold rolled steel, these lockers provide quiet operation through rigid door reinforcements and rubber bumpers to cushion door closing. Dimensions shown include 6" legs. Opening height is 72".